We have the largest and most modern fleet in the industry. 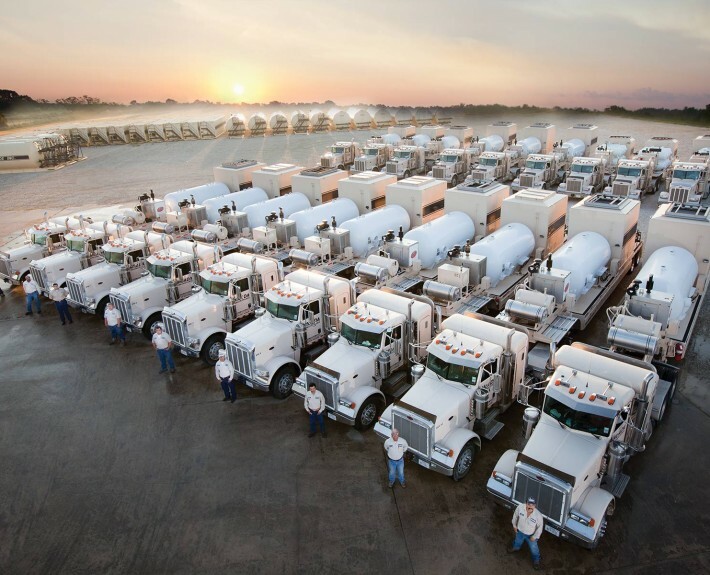 To meet your need for high-volume, on-demand frac fluids heating, we provide modern, specially designed equipment and we accompany that with dependable people, the right resources, and expert knowledge. We are a proven partner with major and independent oil companies. We’ve been successfully completing projects across North America since 2004 – projects that required the heating of frac fluids in Frac Tanks, in Water Pits, and Heat On-The-Fly®. We tailor our services to meet the needs of your job. From the unknown intricacies of the geology to the unpredictability of the weather, we understand how to customize our services to meet your needs in the most efficient and economical way. Freezing weather/frozen water situations require that warm water is pumped down the line to the frac job. Down-hole tubular contraction issues require heating to minimize a possible catastrophic casing failure. Cross-linked gel frac fluids require specific temperatures.